I spent nearly 4 years battling what I call the 3-Headed Staph and MRSA monster. You’ve probably been fighting this same monster and that’s what brought you to this page. Welcome to the battle! I’m going to show you how to win it. Monster #1: What Your Doctor Doesn’t Know. Most doctors are ethical, conscientious and concerned for the well-being of their patients. But, sometimes they blindly follow “standard protocols” for treating MRSA that can make an infection worse. The patient (you) loses precious time as the infection grows and becomes more difficult to treat later. It’s vital to find a doctor with the right experience and to know what questions to ask your doctor. Monster #2: The Big Pharma Profit Motive. Giant pharmaceutical and bio-tech companies (for whom I used to work) have a vested interest in seeing that infection sufferers follow a particular (often ineffective and sometimes downright life-threatening) path to MRSA treatment. There are other treatment options that most people never hear about and ways to stop the cycle of recurring infections. Monster #3: Quick Fix Miracle Cures. Whether it’s hair growth, sexual dysfunction, skin discoloration, weight loss… any chronic, complex problem will attract the hucksters trying to make a fast buck. It’s the same in the infection remedy arena. 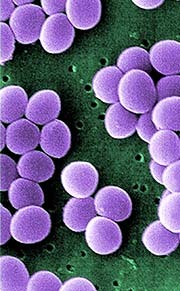 No single remedy by itself can stop MRSA and keep it from coming back again too. Treatments and remedies are important, but they are only part of the solution. Looking beyond therapies alone by adopting a more holistic approach to MRSA is the key to success against this tenacious infection. It’s no wonder MRSA is so hard to treat. Not only do you have to fight the infection itself, but you also have to fight through the disinformation coming from these powerful and persuasive sectors. Can You Fight a Smart Enemy with a Dumb Army? Bacteria are smart, antibiotics are dumb. 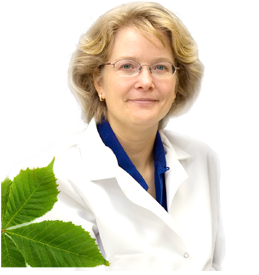 Nature (things like bacteria, plants, humans, animals) is very complex, adaptable, flexible, intelligent, and constantly evolving. It’s the method by which nature grows and survives and thrives. If nature were not like this…if YOU were not like this…you would not make it in a complex and dangerous world. And it’s what makes these bacteria so hard to fight. They change, they adapt, they “talk” to each other and learn to become resistant to treatments meant to kill them off. And they multiply SO fast (50 generations in a day!!!) that it’s hard to keep up with them. One slight delay…one false move gives them the opening they are looking for to attack and take over. They may not have brains like humans, but trust me, this is one SMART little bug we’re fighting here. And yet, our “army” of choice in the battle against this intelligent enemy is “dumb” antibiotics. Not only are antibiotics simple, static, human-engineered “dumb bombs”. They can also cause “Friendly Fire”. The side effects to many antibiotics are often life- and lifestyle-threatening. And, if administered incorrectly, can actually HELP THE BACTERIA TO GROW FASTER! 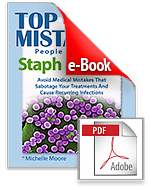 This life-changing e-book will show you why MRSA Staph is so difficult and what it takes to stop it. You’ll learn how to mobilize an infection fighting army inside your own body to break free and stay free from recurring infections. Your body’s immune system defenses are a powerful, advanced and resourceful weapon against infections. But there are five key mistakes that can sabotage your treatments and stall your recovery. These mistakes are easy to make, but they’re also easy to avoid if you arm yourself with knowledge. Inside the e-book you’ll learn how to avoid these common mistakes and how to win the MRSA treatment battle.